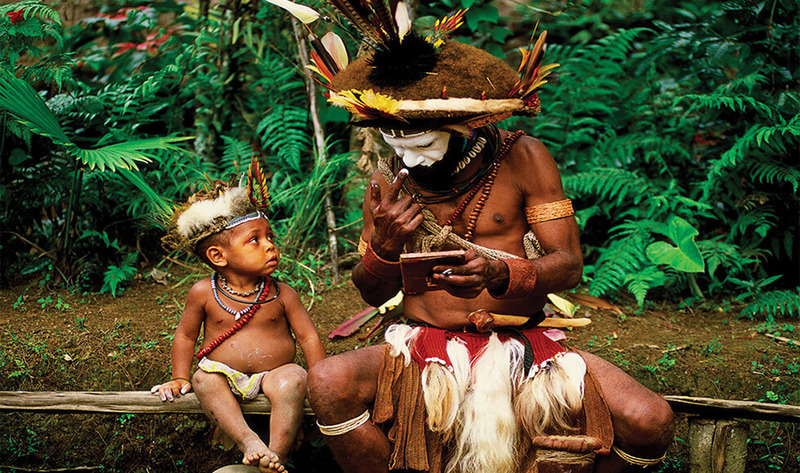 Papua New Guinea is an anthropologist’s dream come true. The country is home to hundreds of tribes. Between them, they speak upwards of 700 languages and dialects. The most popular languages in Papua New Guinea are English, Tok Pisin, and Hiri Motu. English is widely spoken but the country’s lingua franca is Tok Pisin. Most of the country’s seven million people still live in the rural areas. Just 18% of Papua New Guineans live in cities. Even then, the Papua New Guineans are very hospitable and friendly and ready to help strangers. Do dress conservatively when in Papua New Guinea because it will help you fit in with the culture better. When you visit the villages, you may be invited to meet the village chief. At that time, please remember to bow to the chief. If you fail to do so, it will be considered very discourteous. Note that personal space is almost non-existent in Papua New Guinea. Public display of affections is highly discouraged as it is considered crude.